When Jim’s five-minute show went on the air in 1955, he was just eighteen years old and a freshman at the University of Maryland. He lived at his parents’ home in University Park, just down the road from the campus, and commuted each day into Washington to the television station where he performed his show live. At school, he had courses that semester in design, sociology, comparative literature, textiles, typing and basic R.O.T.C. training. 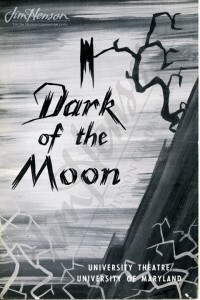 He was involved in the theater department, designing the program, poster and set for their production of Dark of The Moon. 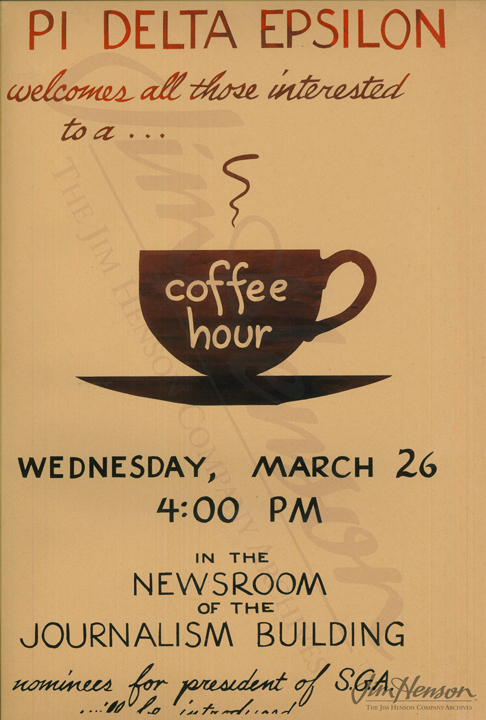 Despite the grueling broadcast schedule for Sam and Friends (a live show, five days per week, often twice a day before the 6:30 Huntley Brinkley Report and the 11:30 Tonight Show), Jim continued with his coursework, started a business making silk-screened posters for student events and organizations, and stayed heavily involved in the theater department. As the decade wore on, Jim added advertising work to his responsibilities, married his performing partner Jane Nebel, had his first child Lisa (on May 9th), and in June 1960, graduated from the University of Maryland. Learn more about Jim’s first experiences on television leading up to Sam and Friends. Program for Dark of The Moon designed by Jim, 1955. 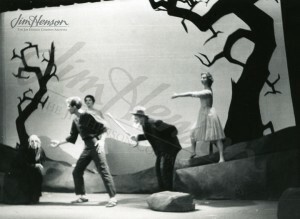 Jim’s photo of the University of Maryland’s production of Dark of The Moon, 1955. 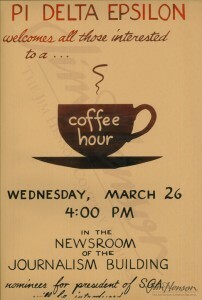 Jim’s silkscreened poster for a University of Maryland campus event, late 1950s. 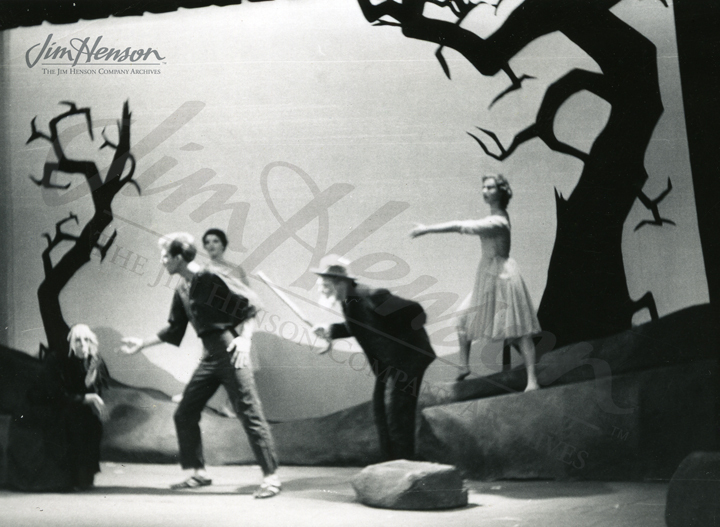 This entry was posted in 05-May '55, 1955, Sam_and_Friends and tagged Dark of the Moon, University of Maryland, University Park, Washington. Bookmark the permalink.